idle women, the arts and social justice project based in North West England, is pleased to announce the launch of POWER TOOLS and RECONSTRUCTION, two major new projects, made by women for women everywhere. The first online digital tool library created especially for women, POWER TOOLS launches with 14 short films giving concise instructions on everything DIY, from changing a lightbulb and smashing a window, to how-to’s on painting a wall and using a drill, and more in-depth guidance on putting up a shelf and bricklaying. POWER TOOLS is a new ongoing series of DIY videos for women created by idle women, Charmian Griffin and LUCA, in collaboration with professional tradeswomen and the women of St Helens and beyond. POWER TOOLS is also an artwork, developed with women in trade including the all-female plumbing franchise Stopcocks and electrical engineer Diane Mills, artists Dina Rončević and Raksha Patel, playwright Natasha Gordon (Nine Nights) and performance artist Selina Thompson with women local to St Helens, campaigners and activists. The soundtrack to the films is sung by Manchester’s WAST Choir (Women Asylum Seekers Together). 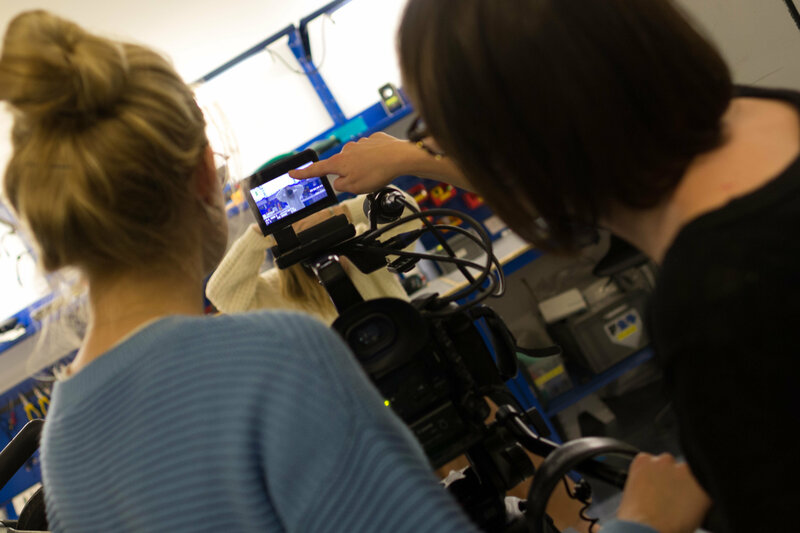 Following the launch of the initial 14 films, POWER TOOLS invites women to create their own ‘how to’ videos to add to the library, using a downloadable bespoke video tool kit and step-by-step instructions. POWER TOOLS is the culmination of HELEN: LABOUR, a two-year deconstructing and rebuilding programme developed through collaboration with women living in refuges and safe houses. 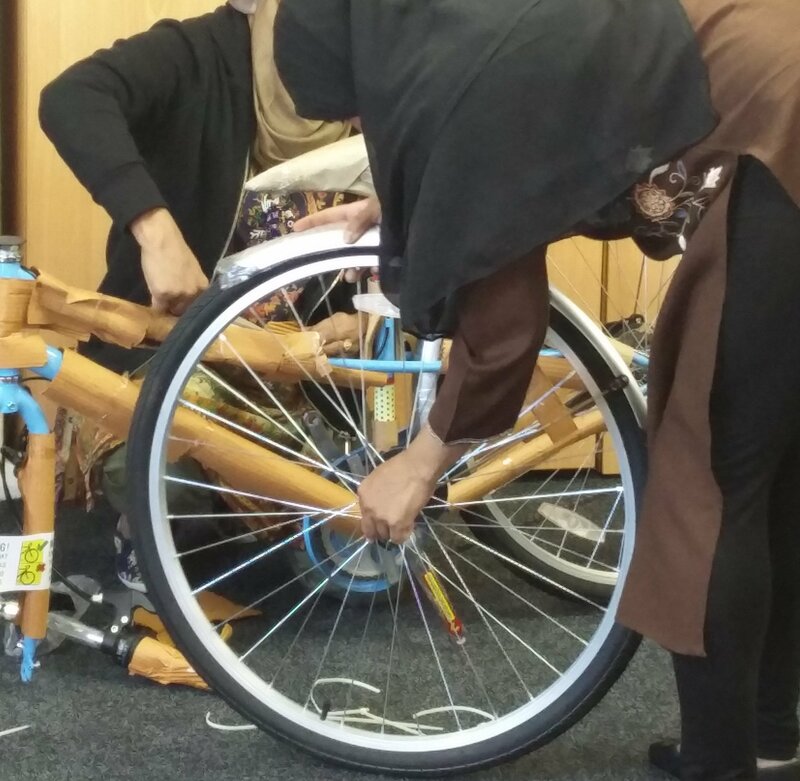 The programme was held at the idle women institute in St Helens, a specially created space for all women, which invited local women to learn about rag rug making, car mechanics, herbal medicine and lock picking. During the ‘deconstruction’ phase of HELEN: LABOUR, local women and girls took apart a Landrover Defender with artist Dina Rončević, as part of her Car Deconstruction series in which she deconstructs vehicles with help from women. 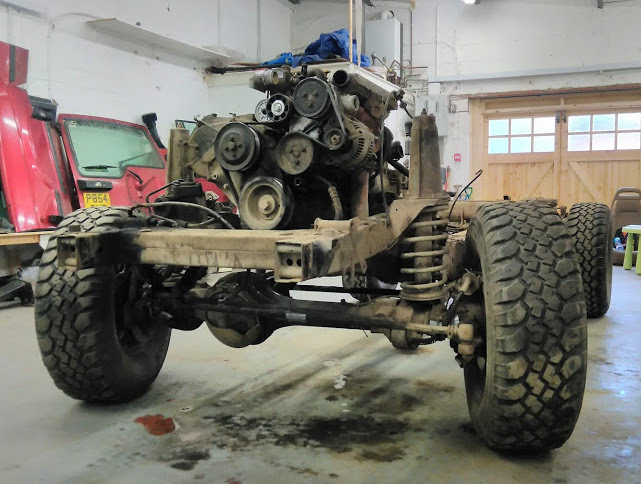 In 2019 the mechanics studio at the idle women institute becomes a metal workshop where the components of the disassembled Landrover are transformed into RECONSTRUCTION, a sculptural installation in the form of a dystopian vehicle. POWER TOOLS is available online from 11 April at www.idlewomen.org and on a dedicated new website. RECONSTRUCTION by Dina Rončević and women of St Helens is at the idle women institute in St Helens from April. Helen is a once in a generation series of art projects and programmes of work created by partners Heart of Glass, idle women, ANU Productions and the women of St Helens.